Saturday Morning Classes Begin October 5, 2019 and End October 17, 2020. 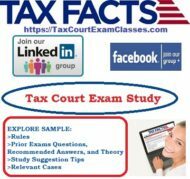 U.S. Tax Court Non-Attorney Examination Study Course! 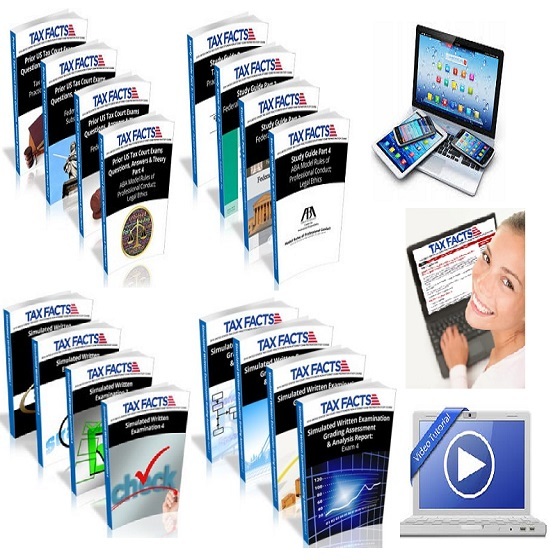 22 Online Group Live Webinar USTCP Instructor Led Class Sessions. Exams are reviewed and scored by the USTCP team providing participants with Progressive Assessment Analysis Reports designed to assist participants in their learning progression and target specific areas that may warrant improvement. Online collaborative sessions directly with a USTCP instructor. 12 Month Online Classes Program Participants may be considered for full or reduced registration fees in the 2022 Online Classes Program if they do not pass the 2020 U.S. Tax Court Non-Attorney Written Examination, upon administrative review by the USTCP Development Team and the Participant’s Study Agreement. United States Tax Court Non-Attorney Written Examination in Washington, DC in November 2020: Examination Fees, Personal Travel and Accommodations are not included in Tax Facts Tax Professionals Resolution Representation 2020 Live Group Online Internet Base Program Registration Costs. Registration Payment Plans are available with ACH Electronic, Debit or Credit Card payments. Payment plans are subject to 10% application and processing fee of $550.00. Scheduled payments assurance of funds availability is your responsibility. Rejected, NSF or Late payments are subject to penalty fees. Our USTCP instructors conduct qualifications interviews with qualifying participants for the submission of two sponsor letter recommendations. If applicable, CPAs, attorneys, and others licensed by state boards/ organizations should check with their respective boards/ organizations to determine if credit applies toward their continuing education requirements.